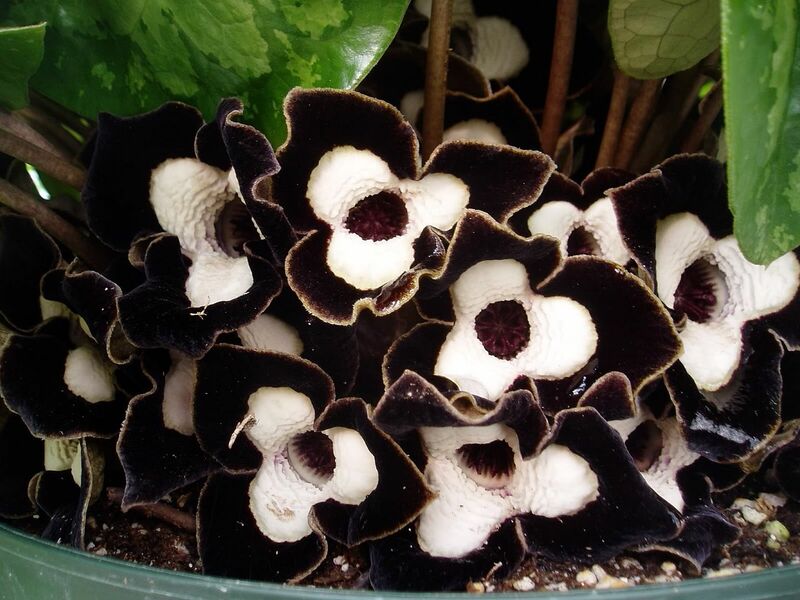 This rare Chinese species with black and white trumpet flowers. 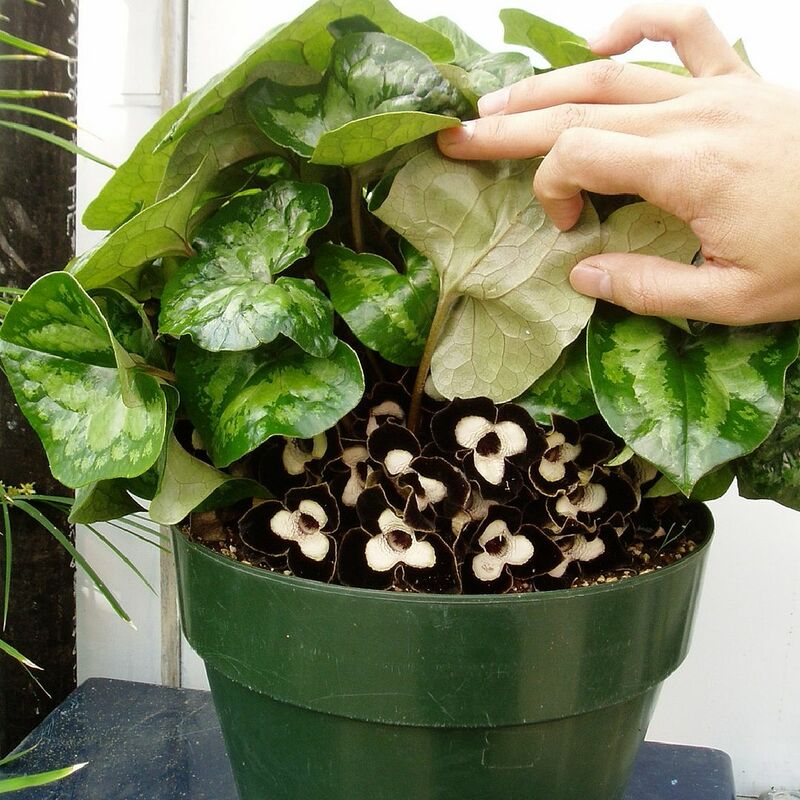 Trimmed with black like a Panda's Face hidden among their leaves, this attractive cold hardy clumping ginger has glossy, heart-shaped leaves, dark green with variegated marbled silvery markings. 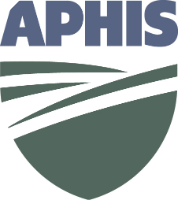 You are bidding on small live potted seedlings with vigorous root systems * inches tall with * leaves born and grown in Hawaii. Wow, take a look at this wild ginger. 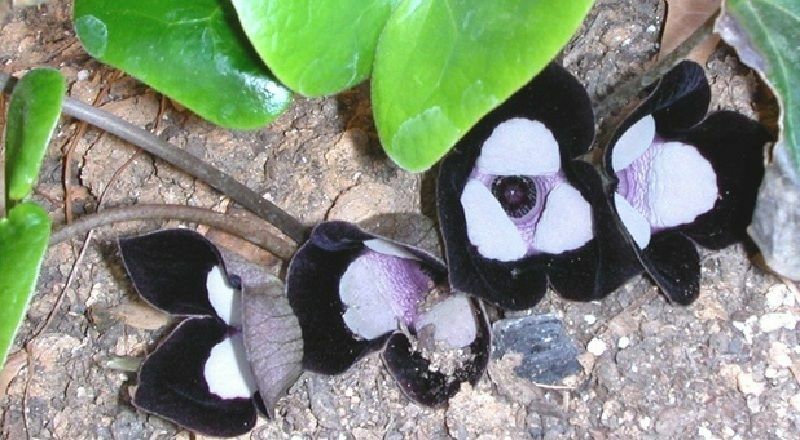 It has dark green evergreen leaves with light green patterns on the sides of central green strip and amazing 2” wide black and white panda flowers in spring. 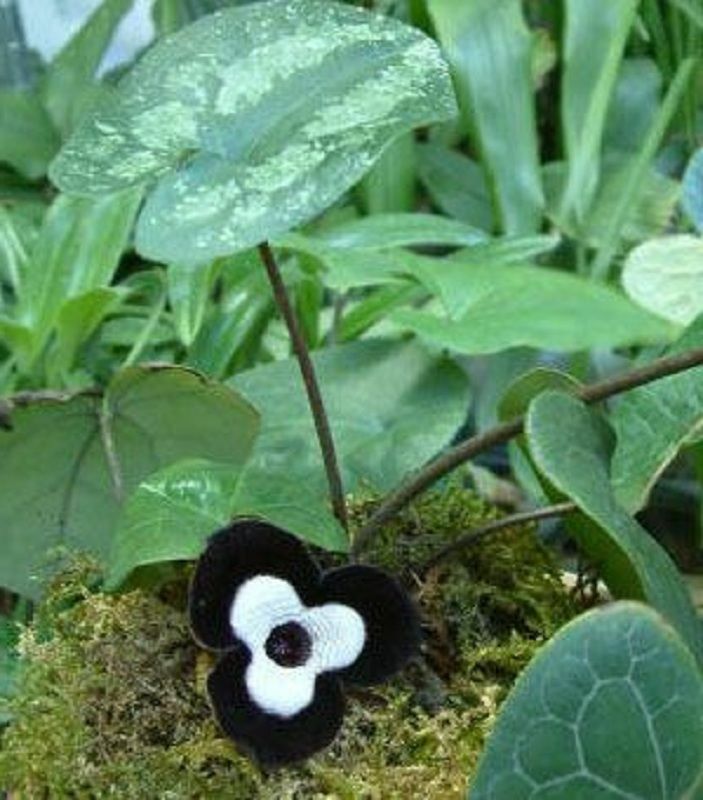 This striking wild ginger has evergreen oval to arrow shaped leaves to 6” long with eye-catching 2” wide black and white panda flowers in spring. 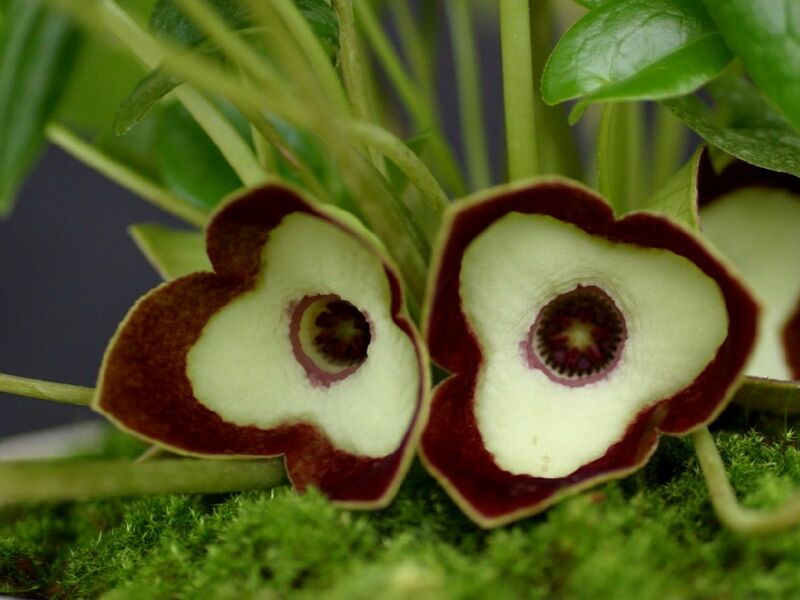 Wild gingers are members of the Aristolochiaceae or pipe vine family. The flowers have a distinct smell of mushrooms. 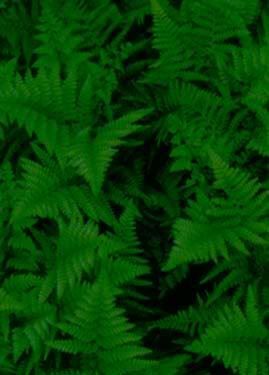 Hardy to 10 degrees F. Grow in part to full shade in moist, humus rich, well-drained soil. Wild gingers are superb plants for the shady woodland garden or border. Evergreen where hardy. 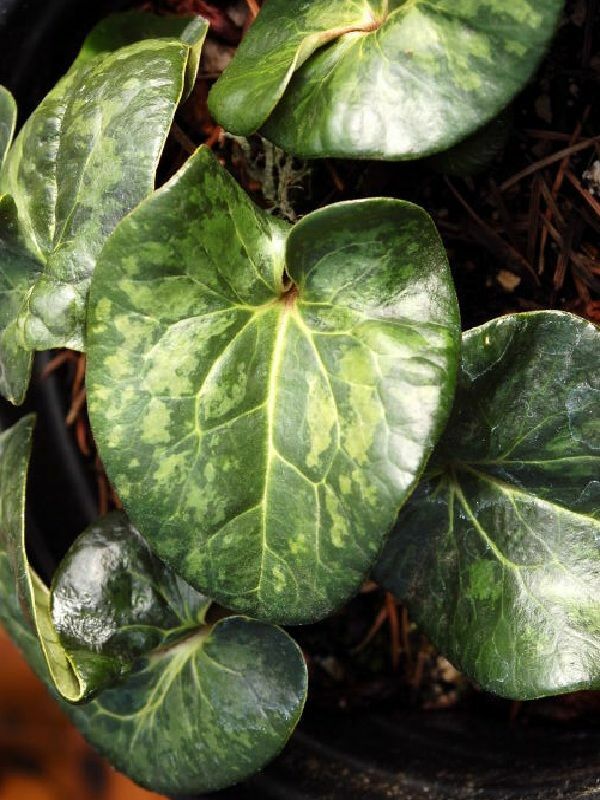 Panda Face Ginger makes a stunning clump of large, glossy, rich-green, heart-shaped foliage highlighted by two silvery-green blotches on either side of the central stripe. 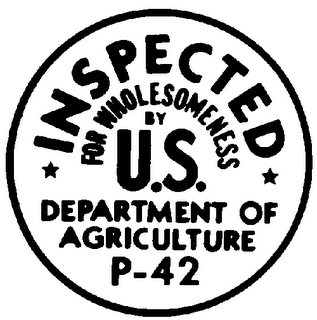 In late spring, the 1' wide deer-resistant clumps are adorned by basal clusters of 2" round, velvety black flowers, each highlighted by a wide white band around the center. This easy-to-grow wild ginger is truly a showstopper in the garden or in a container for the sun room.